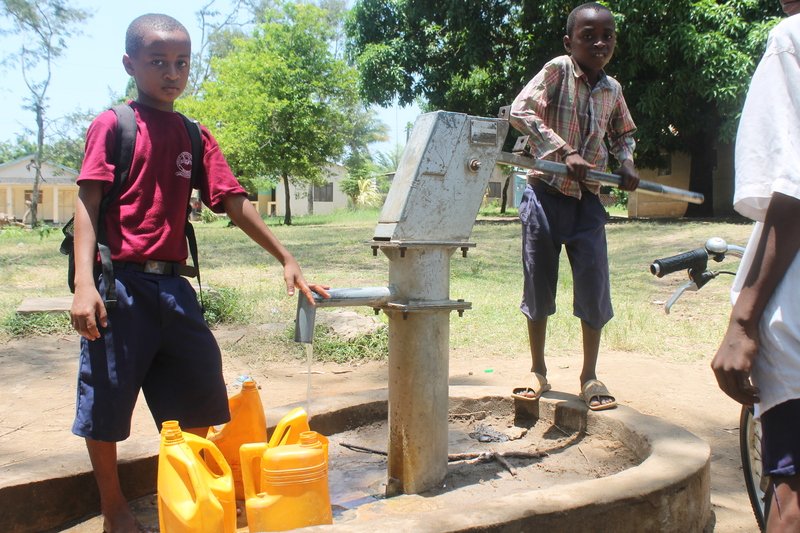 After launching in Tanzania, 1520 Unreached learned about wells and the abundant availability of water beneath the ground surface. From this point, we desired to drill wells but couldn’t find the resources to do it efficiently enough to justify it within our budget of ministry. That is, until the Lord orchestrated the crossing of paths with the Schmidts. In the fall of 2015, the Myer’s attended a friend’s birthday party where they met the Schmidts, missionaries who founded HisWater International. Before starting HisWater, Jeff (the husband) dug 60-100 meters deep, $6-$10k wells powered by generators with a large international NGO. Through his work, he saw a real need to drill more cost efficient wells. 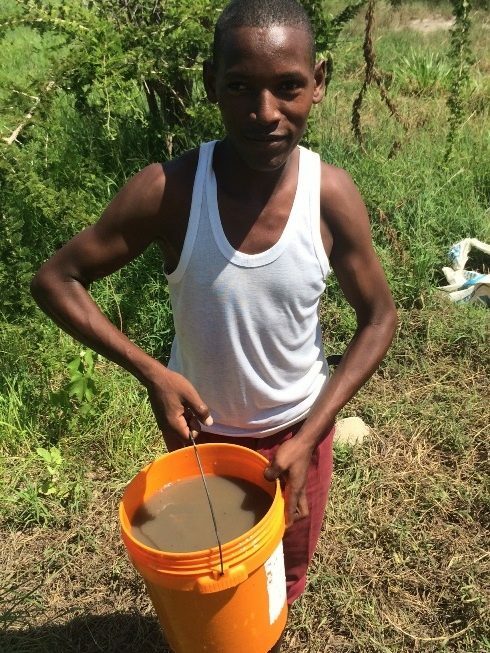 Motivated by this goal, he started HisWater International and digs wells at half the cost. Previous drinking water in an area where we installed a well.1520 began partnering with HisWater in late 2015, learning everything we could about the well-drilling process hands on. By January 2016, we had a plan in place and we began training a local team of men. In February 2016, we dug our first three wells in the Zaramo region. The local community was so excited to hear and see what we were doing; hundreds of people came out to watch us dig. The area surrounding the wells is home to about 15,000 Zaramo people and there isn’t one working well in the area. People go to the river to fetch water each morning. Perhaps the best part, because of how deep we dig, going beneath the bedrock and tapping natural aquifers, our wells provide CLEAN DRINKING WATER! You have to be here to understand what a massive deal this is; where most of the people drink visibly dirty water; where every week a child dies from a water-related illness. Our wells cost, depending on the location and drilling method (by hand or small scale drilling rig), $500 -$1500 per well. One of the motivations behind this type of well is that every piece of equipment needed to drill or repair it can all be found locally. Every well ever built is going to break at some point, and when part isn’t available in country, it can be a cost-prohibitive repair for the villagers. When the part is available locally or regionally the repair now costs $3 instead of $50, and that’s a great deal of money in the isolated villages. 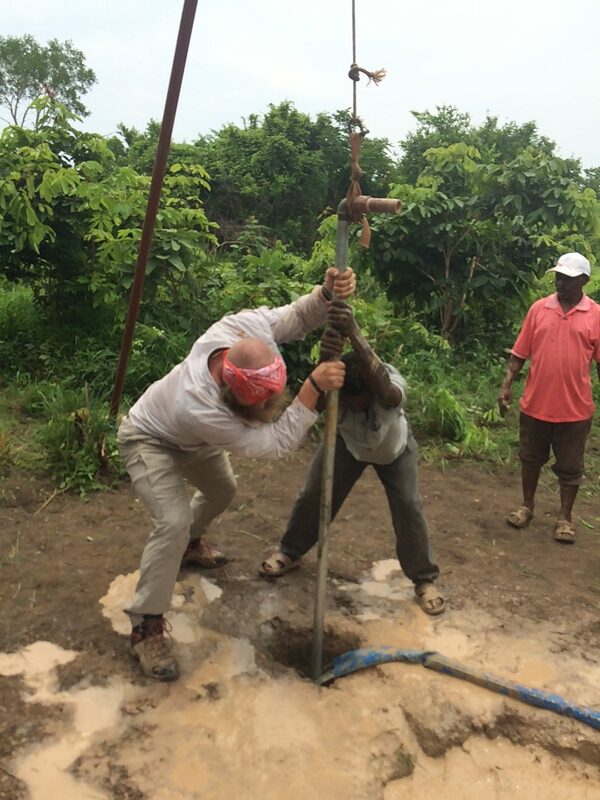 We specifically are drilling wells to provide clean drinking water, so the majority of our wells will be hand pumped. Our wells will be 30 meters to 80 meters deep. A benefit of 1520 being in-country is that we can conduct well follow-up and consult with the local people periodically. Our goal is to dig 40 wells over the next 3 – 4 years, showing people the love of Jesus by providing access to a basic necessity of life – clean water. James helping to dig a well.